We offer support, services and information to local communities, community organisations, local charities and visitors to the area of Mid Galloway. We are passionate about promoting the area and act as a Visitor Information Point (VIP) assisting visitors to the Machars, and providing a comprehensive Events Guide which lets visitors and residents know what’s happening in the area. 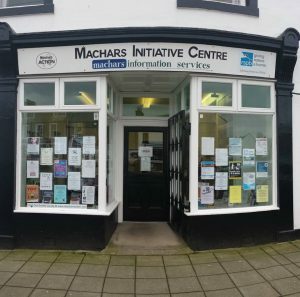 Machars Action is based at 26 South Main Street, Wigtown DG8 9EH (Scotland’s National Book Town) in Wigtownshire, Dumfries & Galloway. We offer a number of services – please explore our site to find out more information.